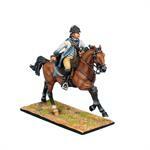 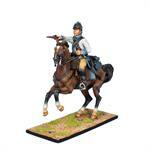 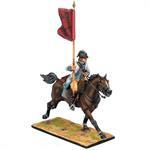 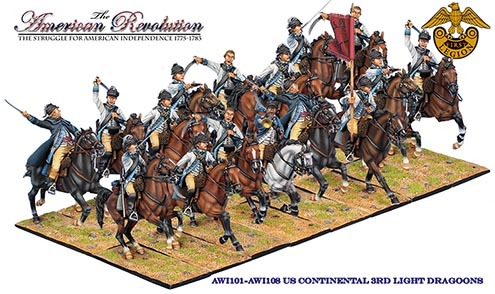 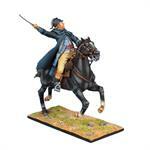 First Legion is extremely pleased to present the first mounted unit for our American Revolution figure range, the 3rd Continental Light Dragoons. 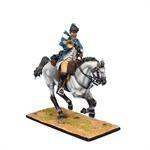 The unit was raised in 1777 in New Jersey and was also known as Baylor's Horse (George Baylor was regimental commander until his capture in 1778) or Lady Washington's Horse (William Washington took over command after Baylor) and took part in battles such as Brandywine, Germantown, Guilford Court House, Cowpens, and Eutaw Springs. 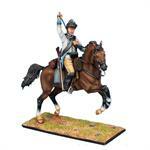 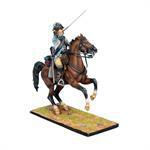 We have depicted them here charging in battle as they had done on numerous occasions. With 8 unique figures featuring the superb sculpting and hand painting that are the hallmarks of First Legion, these are certainly the finest mounted figures ever produced for the American Revolution and will make a fantastic addition to your collections.